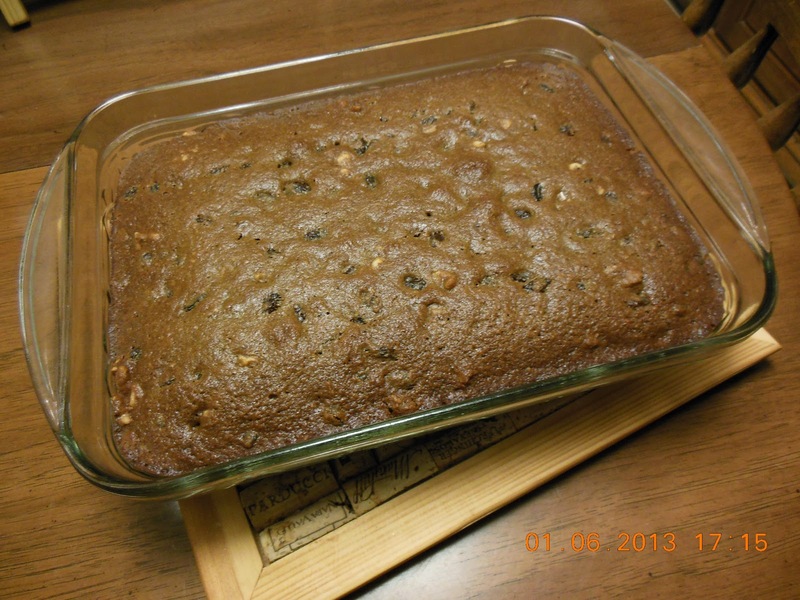 Sunday Supper Suggestion, Raisin Walnut Snack Cake - Our Sunday Cafe, the Retirement Edition! This snack cake is perfect as is, seriously! Dense but not heavy, a nice balance of spice in the applesauce batter, those raisins bathed in a little whiskey bath don't hurt either! From there we can talk about the toasted walnuts, yep this is good cake! Perfect for your Sunday Supper. 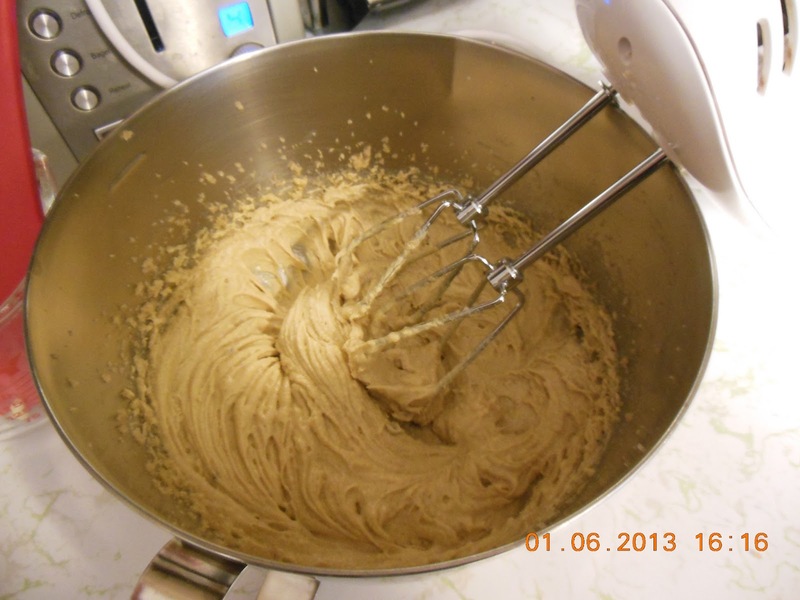 Whisk together all dry ingredients. Set aside. 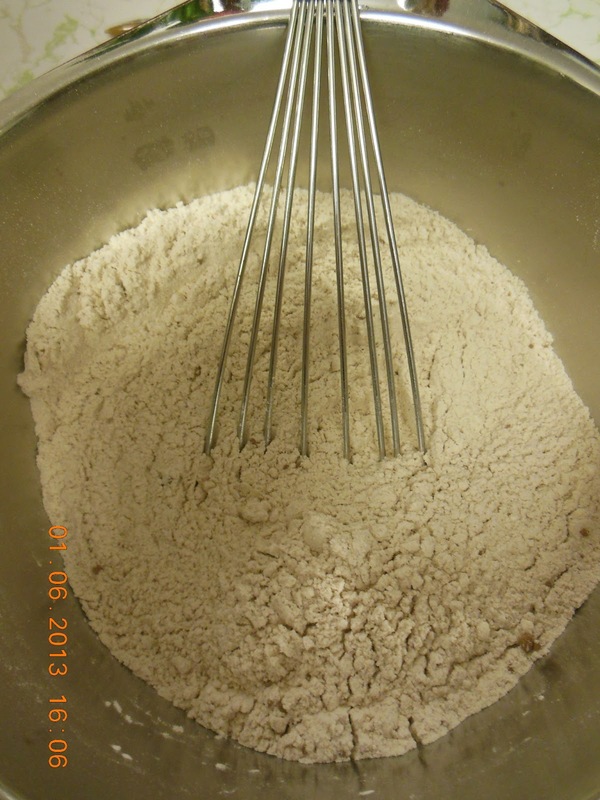 2 c walnuts, toasted and chopped coarsely. Beat butter until creamy, beat in sugar. Beat in eggs, one at a time, beating well after each addition. Add dry ingredients to the bowl, mix in 1 c of the applesauce. Add remaining applesauce and the raisins (including any leftover liquid), mixing well. By hand stir in the walnuts. Pour into prepared pan. Bake 40-50 minutes or until done in your oven. 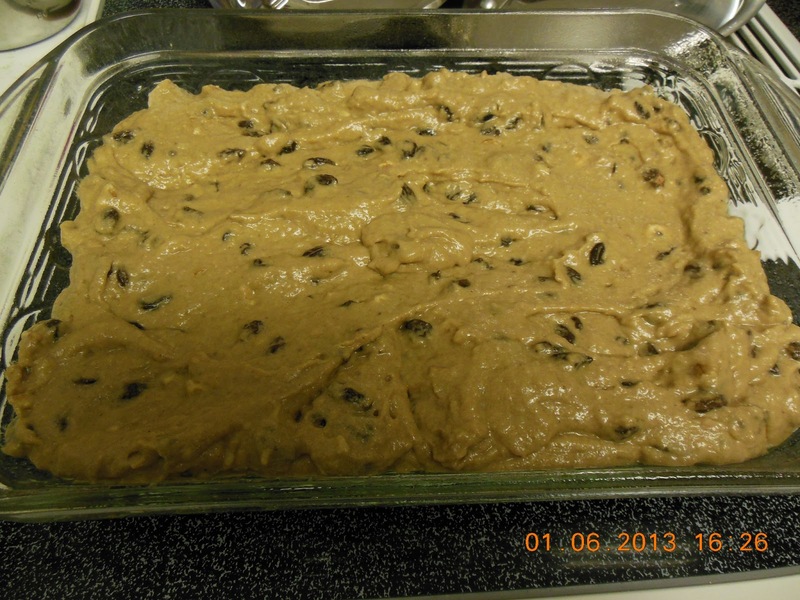 Raisin Walnut Snack Cake, ready for the oven. If desired, sift powdered sugar over the top. this sounds good-i like hearty dense loaves. Snack cake with a little bourbon? Where do I sign up? Sorry I was late getting here this week -- we were out of town. Yum! That sounds and looks so good! A treat worthy of afternoon coffee, would love some now. 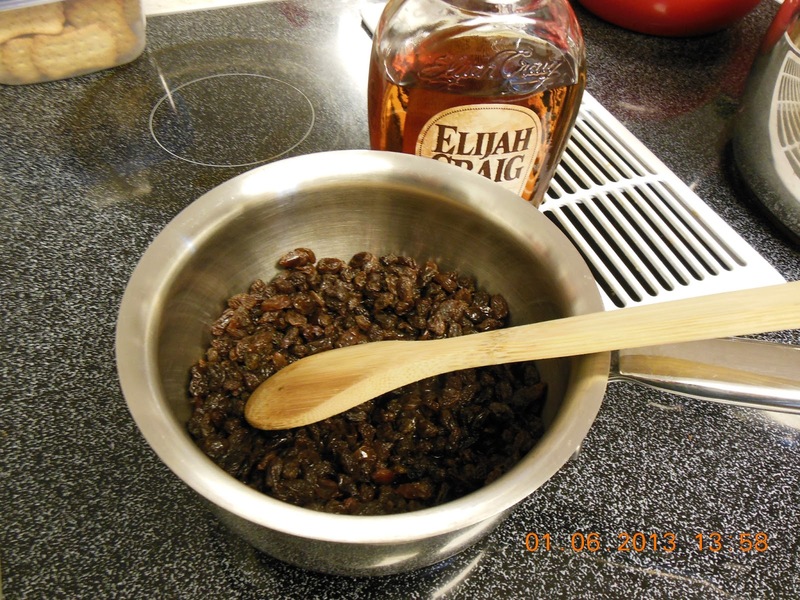 Oh, I love the bourbon soaked raisins in this yummy snack cake! What a lovely recipe, Melynda, such a nice cake to enjoy just about anytime! Thank you for sharing with us at the Hearth and Soul Hop.